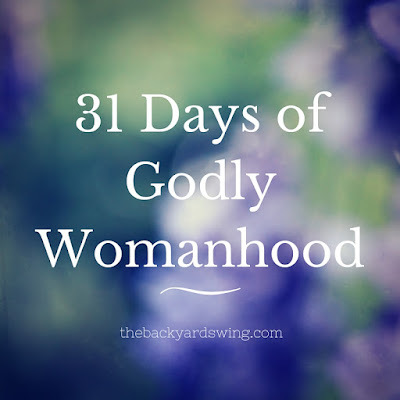 Welcome to 31 Days of Godly Womanhood! 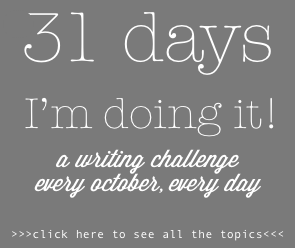 I'm excited to join the Write31Days challenge for the first time this year! I will be going through Proverbs 31, one verse a day, and sharing my thoughts and insights into what it means to be a Godly woman. To see the Day 1 post, scroll down. Links to the other 30 days will be listed below as each post goes live. I have a love/not-so-much-love relationship with Proverbs 31. I love it because it's God's word to us and is so beautifully written, full of great descriptions and imagery. So, when I started pondering on a topic for the Write31days challenge, Proverbs 31 was NOT on the list. 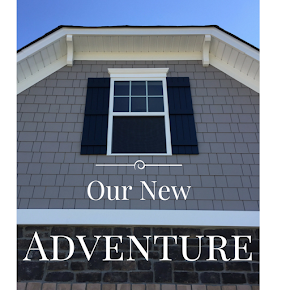 But, the idea of writing about Proverbs 31 kept coming back to me, over and over. So I took another look at it ... and I realized that not only is it the 31st chapter of Proverbs, but it also has 31 verses. "The sayings of King Lemuel - an oracle his mother taught him:"
First off - who is King Lemuel? According to the Jewish Virtual Library, Lemuel was a foreign king, possibly from the North Arabian tribe of Massa. Massa was one of Ishmael's sons (Genesis 25:14). Some commentators say that Lemuel may actually have been King Solomon; others say he may have been King Hezekiah or even fictional characters created by Solomon (read here for more info). Regardless of who he was, his name means "belonging to God" or "devoted to God," and God ordained his writing to be part of the Bible (2 Peter 1:21). And he had one smart mom. But we'll get to that later. The word "oracle" can be used to describe a person, place or thing. I think the definition that fits this verse best is from Dictionary.com: "a divine communication or revelation; any utterance made or received as authoritative, extremely wise, or infallible." I picture Lemuel's mom having a sit-down with him when he was a teenager or young man, telling him about life. Or maybe she offered up nuggets of wisdom over dinner or riding in the chariot. I see her being a lot like me. And you. A normal mom trying to raise her son to be a wise and Godly man. What a huge blessing! And a huge responsibility.